I don’t know about you, but the hangers that end up in my closet are rarely ones made of quality material. I just tend to collect whichever ones come home with me from clothing stores, so I end up with a hodgepodge of wire and plastic ones that eventually either break or get bent out of shape. 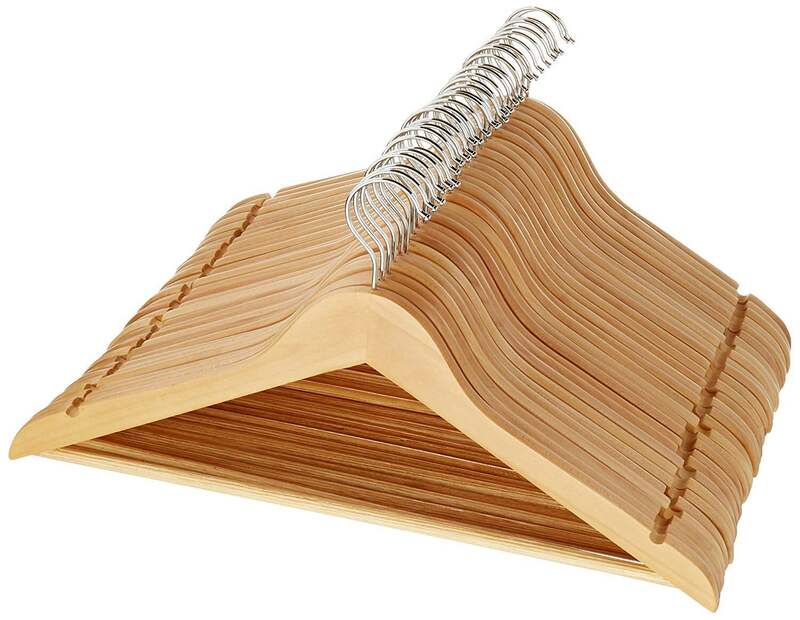 AmazonBasics’ pack of wooden hangers is a relatively inexpensive way to remedy this. They’re everything I want in a hanger: They’re solid enough to handle heavy clothes, they have a horizontal bar for draping pants and other items (I hate messing with clips), and they’ve got notches on each end that let you hang items with straps (which is useful for several things my wife owns). A 30-pack of these hangers is $24, which isn’t too bad at all — besides which, 30 hangers is more than enough for my wife and I to share — while a 16-pack is $16.